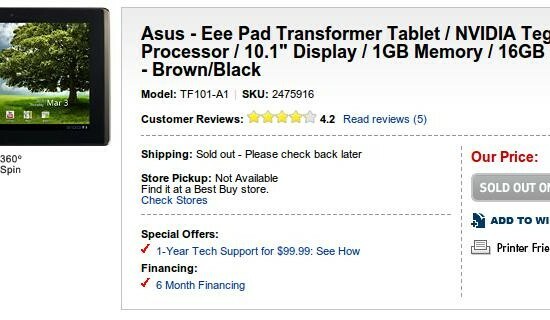 The ASUS Eee Pad Transformer with a 1280 x 800 display, 10.1-inch, 1GHz dual core Tegra 2 processor, Android 3.0 Honeycomb and 16GB of internal storage goes on Sale in US as ‘cheapest Honeycomb’ for a relativly low $399.99 . 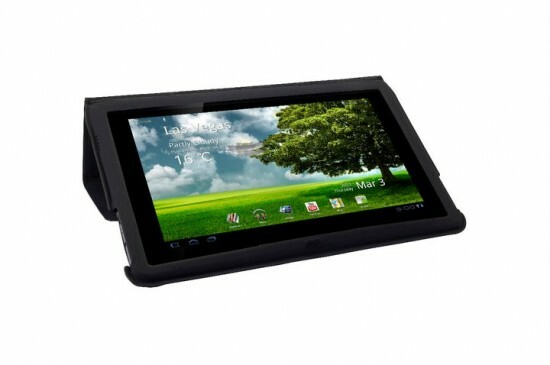 So want order the Eee Pad right away? 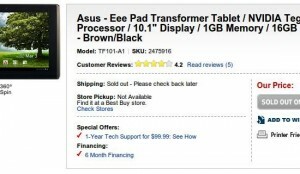 Check Best Buy, Amazon.com, Newegg but for today there where no more. Sold out first Day! Other shops did not even get any, but do have pre-order pages like at B&H and ExcaliberPC. Not even out a day, we find people at EeePC.it have posted this picture showing off a screenshot of a Transformer which recieved an update to Android 3.0.1. The update, which according to EeePC.it contains the programs Asus MyCloudappears, MyDesktop and MyContent. myCloud a cloud storage service, myCONTENT stores multimedia content, myDesktop allows for remote access to Windows PCs. In May / June are four upcoming Transformer accessories expected that include a keyboard-less dock that has a 3.5mm audio jack and 2x USB ports that can be used to plug in a keyboard and/or mouse, a case with folding lid like Apple’s ‘Smart’ covers, a mini HDMI-VGA adapter, headphones, a USB adapter for attaching storage devices directly to the tablet, if you don’t own the keyboard dock and a SD card reader which looks identical to the USB adapter.